Barbara Zurer Pearson's Blog | A blog by a linguist interested in bilingualism. A blog by a linguist interested in bilingualism. De Houwer (2009) compared language outcomes for children exposed to two languages depending on the language practices of the parents. When both parents were born abroad and spoke only the heritage language (and spoke the community language poorly), not surprisingly, the children truly spoke the heritage language in the home and learned it relatively well. We have another indication of the power of having only one language in the home: A study I report in my book also speaks to the role of the parents’ language practices. (It’s a 1992 study by Kenji Hakuta and a colleague that you’ll find (on p. 272) in the stats chapter–that many people skip over when they read the book : ) Those authors were looking at English and Spanish skills among high schoolers in California and they separated the group into 6 “depths”: 1) born abroad, came to U.S. after age 10, 2) came to use between 6 and 10, 3) came to U.S. before age 5; 4) born in the U.S.; both parents born abroad; 5) at least one parent born in U.S.; 6) at least one grandparent born in the U.S. Depth 3 and 4 children were the most balanced between their languages and had the best English and Spanish. This alone doesn’t tell us that the parents of Depth 4 children spoke Spanish with each other, but other sections of the same article showed a strong shift in the parents’ language attitudes and choices after Depth 4—and one consequence is the harder time their children had learning Spanish. Note that there was very little difference in children’s English abilities between depths 3 and 6. English did not wait for Spanish to diminish before it became stronger. In that study (as in many others) English was strong 2 “depths” before Spanish abilities declined. Workshop Interests in Pioneer Valley? I’m exploring the idea of bilingual workshops for parents who want to facilitate a multilingual household around the Pioneer Valley. If you or someone you know is interested, leave a comment below. Motivating the child to speak a minority language is less of an issue in households where it is the only language spoken. The effort to speak a language whose usefulness is limited to the house is far less than the effort (and frustration) of not being able to speak and communicate, both about their basic needs and their emotions. Sociolinguist Annick de Houwer has looked carefully at language outcomes for children in bilingual homes. 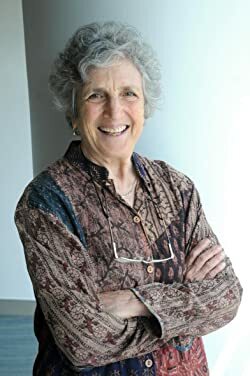 In 1999, she did a very general study in a national survey of Flemish families in Belgium about how many children in homes where two languages were spoken would also speak two languages. That is where I got the 3 to 1 statistic I reported in my book. Three-quarters of the children were considered bilingual, and one-quarter were not. To me, this gives comfort to parents who are trying to raise children bilingually, that the odds are in their favor that they will be successful. Please remember parents: you are doing the best you can to support your child and her needs. Continuing a bilingual household will reinforce her understanding of the languages and allow for stronger communication between everyone in the home. People think it’s so easy for children to learn a second (or third) language and in some ways it is. But only if they have a real stake in learning it. The biggest challenge for parents who want to raise a bilingual child is to make the child WANT to learn it. There’s a common saying that “you can lead a horse to water but you can’t make him drink.” You can provide the necessary environment, but the presence alone of “the water” is not enough. On the other hand, if the child is “thirsty” for the language, you can’t keep him from drinking it in. If there is no water available, children will look for water until they find it. Did I raise a bilingual child (or two) myself? People often ask me if I raised my children bilingually. I have to say, “No. I didn’t have my book! !” Since we were living in multilingual Miami when they were little, I thought it would happen automatically, without my doing anything. As it happens, both of my children learned Spanish very well, but they didn’t learn it in the home. They learned it in school and from visits to countries where Spanish is the major language. My book makes it clear, that raising a bilingual child is not rocket science, but one has to act intentionally to create a supportive environment to help children value their heritage language enough to really want to learn it. Having bilingual parents is a good start, but not a guarantee that the child will become bilingual. Parents who want a bilingual child must translate their desires and ideas into actions! This is so exciting! My book, “Raising a Bilingual Child,” has been translated into (Mandarin) Chinese and was published by Beijing Language and Culture University Press at the end of 2015. It is now available! Parents who want to know more about the science of being bilingual and also learn practical strategies for integrating two languages into their children’s lives can utilize this step-by-step guide. It is supported by 20 years of research and more than 100 bilingual parent (and child) testimonials. Chinese parents now have access to this helpful guide book. As readers will find out, the book encourages the use of multiple languages in families. There are many benefits to learning multiple languages, from long-term cognitive benefits to creating connections across cultures. In today’s increasingly connected world, it is important parents receive the support from experts and peers to help them help their children learn. The knowledge of a second or third language will help them compete in a global economy and will be an important advantage for them now and in their future. Find the Chinese version on Amazon here! Get in for all your friends and relations! Our friend Jennifer Jones, founder and director of Deaf Family Literacy Academy, (http://www.volunteerusafoundation.org/What-We-Do/Family-Literacy/Deaf-Family-Literacy-Academy2) has shared this post. It brings dual language ideals to deaf toddlers. This website tells why sign is so important for deaf toddlers, and how a bi-modal, bi-lingual goal is best for these children. Here’s a link to the Press Release that describes an event at the Jones Library in Amherst, Mass. There is going to be a screening of a film entitled, “Speaking in Tongues.” This event will happen Tuesday, August 3rd, from 5:30pm to 7:30pm. Read through the press release for more details! If you have any questions, you can e-mail Lissa Pierce Bonifaz at lissapiercebonifaz@gmail.com. You can visit the website here! According to the website, In grades K-1st, 75% of the daily instruction is in Chinese and 25% in English. In grades 2nd-5th, 50% of the daily instruction will be in Chinese and 50% in English. In grades 6th-8th, 25% of the daily instruction is in Chinese and 75% in English. Any student residing in Massachusetts can enroll into the school, tuition free! Visit the website to learn more about the school, and there is an information session at 1pm on July 17th. "Raising a Bilingual Child" offers both an overview of why parents should raise their children to speak more than one language and details steps parents can take to integrate two languages into their child's daily routine. It also includes inspirational first-hand accounts from parents. 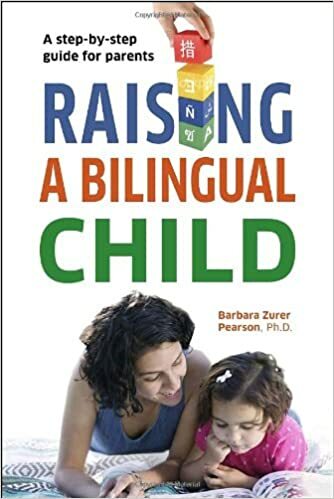 Bilingualism expert Barbara Zurer Pearson provides parents with information, encouragement, and practical advice for creating a positive bilingual environment for young children.